After the sudden launch of Reliance Jio, everybody who has a 4G smartphone started buying it but they didn't know it only works on 4G VoLTE devices. So, they become eager to find out that their device is LTE or VoLTE. First of all, let me clear this point that LTE stands for Long-term Evolution and VoLTE stands for Voice over Long-term Evolution. So far, lots of people are still Googling to find out their device is LTE or VoLTE. Here, we have listed two methods to figure out that which technology your device belongs to. Below I have shared the methods you need to follow to check your 4G device has VoLTE or LTE. This method is very simple to perform, we will find out from our setting menu. 1. First of all, go to "Setting" > Mobile Network or Preferred Network Type. 2. There you will see 4G, 3G and 2G as network options. If you find 4g/LTE then your phone supports 4G network. In this method we are going to use an App called VoLTE checker. This is the best App to check out your smartphones supports which terminology. This App is developed by Jay Kapoor and it is rated 3.7 stars on Google Play store. 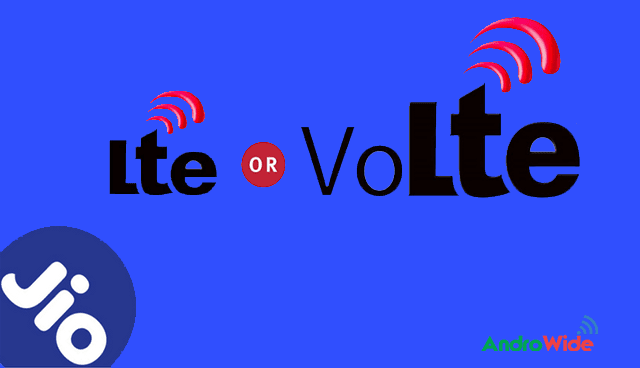 Firstly, Download & Install VoLTE Checker App in your Android smartphone - Clickhere to Download. Open the App and turn on your data connection [Mandatory Step]. Now it will start a process, it may takes few seconds. After the process is completed it will show you whether your device is compatible with LTE or VoLTE. If your device supports VoLTE then the App will show a tick symbol [✓] with green screen. If this App shows a red screen with "Oh No" message then your 4G device supports LTE or indirectly it does not support VoLTE. That's it you are done. You have successfully found out which technology your device is belonged to. Note - You can download Jio4GVoice App for HD calling purpose. So, hence was the post to find out your 4G device supports LTE or VoLTE. I hope you like the post. Feel free to comment your reviews in the comment box.